Two of America's most prominent rap and hip-hop artists, Nicki Minaj and Cardi B, nearly came to blows in a brief but explosive confrontation during New York's Fashion Week. Videos on Twitter and YouTube showed the two women, who were on a second-floor balcony above a red carpet event late Friday, being separated by their security guards as Cardi B curses her rival before throwing a shoe at her. Minaj was reportedly not hurt. But a photo taken immediately afterward shows Cardi B with a large bump just above her left eye. The Variety website said one of Minaj's guards elbowed her during the melee. 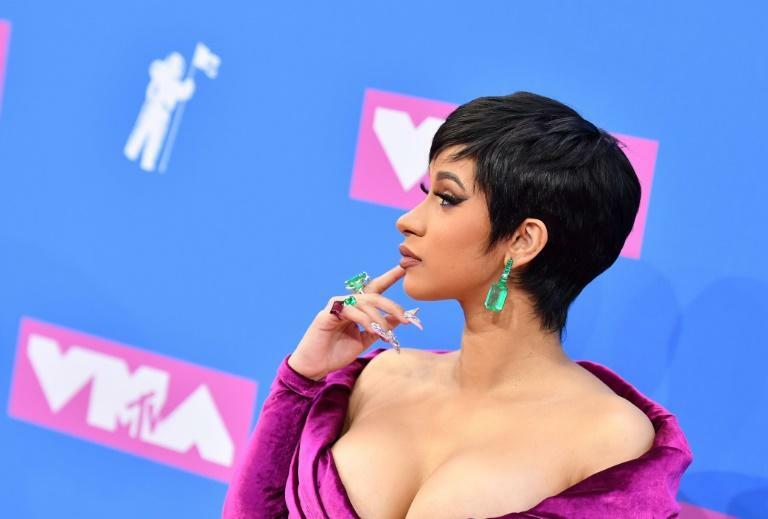 It was not immediately known what touched off the dispute, but gossip site TMZ said Cardi B, the first female rapper to have had multiple No. 1 songs on the Billboard Hot 100 chart, had accused the older Minaj, one of the best-selling musical artists now performing, of spreading "lies" about her. In a subsequent Instagram post, the 25-year-old Cardi B complained -- without naming names -- that her rival had gone too far when she criticized Cardi B's qualities as a mother. Cardi B had a child in July with fellow rapper Offset. Cardi B gained enormous notoriety in the US musical world last year with the release of her song "Bodak Yellow," with its references to her past as a strip-tease dancer trying to make ends meet. Minaj, 35, has sold more than five million albums worldwide and won 10 Grammy nominations.